Join the dedicated teams in our Pet Hospitals, offices and shops. At The People’s Vet, no two days are ever the same! From a puppy’s broken bones to a rabbit with hypothermia; from a confused chicken to a cat with a crooked tail. These are just some of the cases our teams are dealing with every single day. A poorly pet tugs at our heartstrings. Helping them back to health and seeing the happiness on their owner’s face is hugely satisfying. We care about every pet we see and believe that every owner deserves the best care for their pet. Every year 470,000 pets need our help with over 2.7 million treatments to stop them suffering from sickness, injury and to prevent them from dying. This makes PDSA the UK’s leading veterinary charity. We believe that we work better together, so everyone helps. From our vets and volunteers to our shop and office support staff – we are a dedicated team who are passionate about pets. Join us at PDSA and help improve the lives of every pet. Whoever you are, wherever you live and whatever you do – it helps make a difference. If you'd like to find out more about what we do in our hospitals, you can see for yourself by watching The People's Vet! You can watch our dedicated teams deal with lots of different cases and get a feel for what life is like in our Pet Hospitals. Catch up on recent episodes online. Life at PDSA is busy, challenging, fun and rewarding. But best of all, it makes a difference to the life of every pet. At PDSA it’s important to us to go beyond better, knowing we all have a part to play in achieving our mission. The knowledge required to deliver a role. The skills that provide the ability to carry out the role. The behaviours that guide us to work in the best way for the organisation. We support all of our colleagues to understand who we are, what we believe in and what is expected of them, we provide a consistent, well-defined set of organisational values. They help our teams to form a compass for decision making and ways of working. Everyone helps. Whatever our roles, we are passionate about making a difference to the lives of pets with prevention, education and treatments. As our founder Maria Dickin said, ‘we help, we care and we teach’. These values apply to those we help and those who help us. So when you join us at PDSA, we offer you a range of rewarding career opportunities and employee benefits. We help you to do your job well. We give you the tools you need to build trusted relationships, to take ownership to make effective decisions – and to develop and share knowledge that will help you to excel. We’ll also provide you with great resources such as modern, well maintained equipment in our PDSA Pet Hospitals, to great office facilities in our support teams. We care about your health and wellbeing. We want you to enjoy a great work/life balance, so we offer great working hours. In addition, our Employee Assistance Programme provides you with free advice on everything from health and medical to legal and finance. Other benefits include life assurance, staff pet treatment at PDSA Pet Hospitals and discounts on leisure and entertainment activities. We believe in developing our teams. You’ll be part of a highly experienced team within a large national network and get training to excel in your role. Our learning programmes include e-learning, courses and workshops. Plus, you can access career and professional development opportunities. We put the fun into fundraising. From hiking and biking to skydiving and diving with sharks – our fundraising is great fun. So you can get involved in making a real difference to animals in need. We have a range of rewarding roles within our PDSA Pet Hospitals. These are located in 48 locations across the UK. You’ll be an essential and valued member of our team, whether you handle front-line enquires or provide lifesaving treatments. We treat sick and injured pets – but that’s not all. We’re also passionate about providing essential preventive treatments and educating pet owners about the five animal welfare needs. This is reflected in our PDSA Animal Wellbeing Report, which reveals that the health and welfare needs of 10 million UK pets are not being met. We have a number of great opportunities in our PDSA Shops. We have around 120 high street shops, selling both donated items and carefully selected new goods. Our shops are lively, friendly and fun places with varied and rewarding work every day. You’ll be in an important frontline position to help pets in need by raising vital funds. You’ll also have the unique opportunity to raise awareness of PDSA, sharing your enthusiasm for our charitable work with people discovering us for the first time. Each shop has its own manager, up to three other paid members of staff, plus a team of dedicated volunteers. 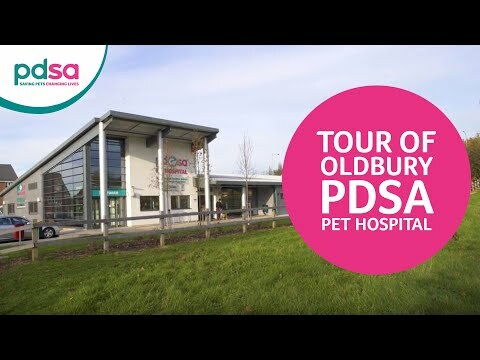 Most shops are in towns with PDSA Pet Hospitals and we encourage our Retail and Veterinary teams to build relationships, share ideas and work collaboratively. This partnership maximises experience and creativity so we can offer the best possible service to our customers and clients. We have a number of different functions in our offices to help support our work in our PDSA Pet Hospitals and high street shops. Our headquarters are in Telford – and we’re supported by our National Volunteering Centre in Winchester, Sunderland Contact Centre and other regional offices. From Fundraising and Promoting PDSA’s work, through Marketing and PR to maintaining our essential infrastructure as part of our Property Services team we have a variety of career opportunities. Depending on where you work and your role, you may liaise directly with our supporters, clients, frontline staff, support teams or external organisations and volunteers. Everyone who works for us is driven in his or her dedication to improve our services, generate more funds and make a better life for pets. What's it like to work at PDSA?